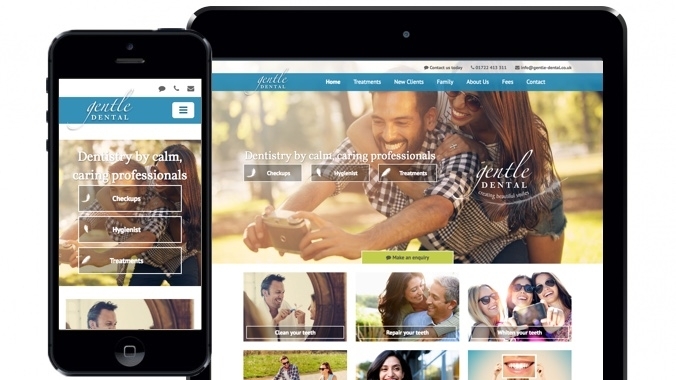 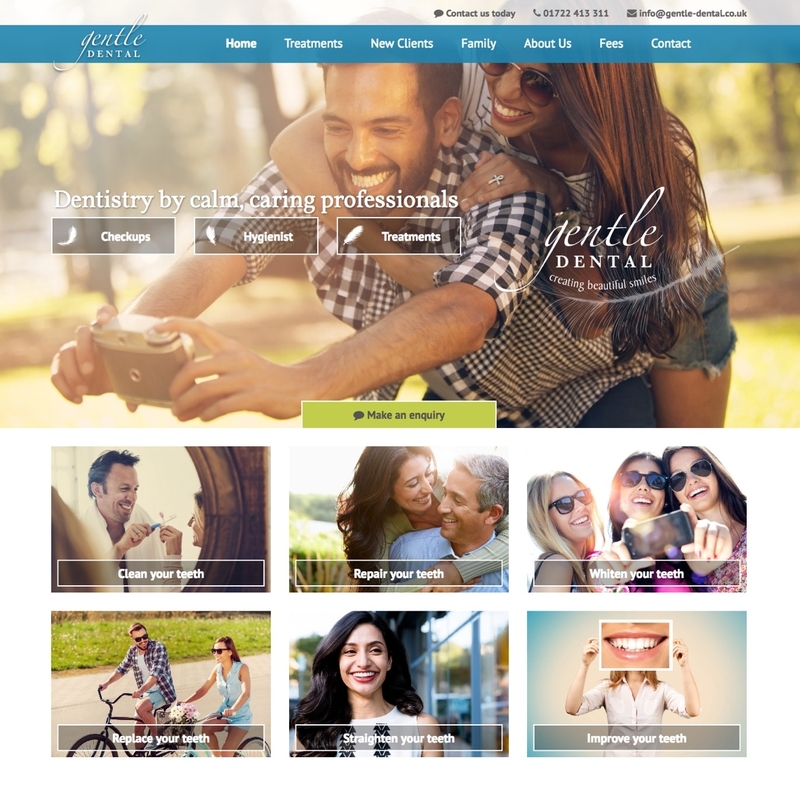 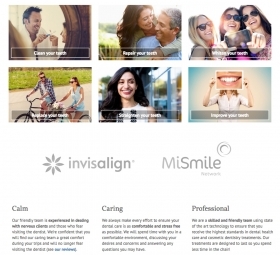 We have created a new dentist website for Gentle Dental, a dental clinic by calm, caring professionals. 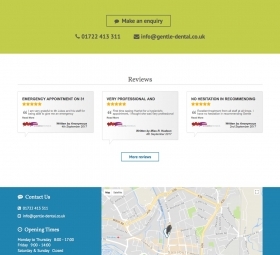 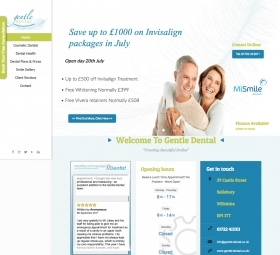 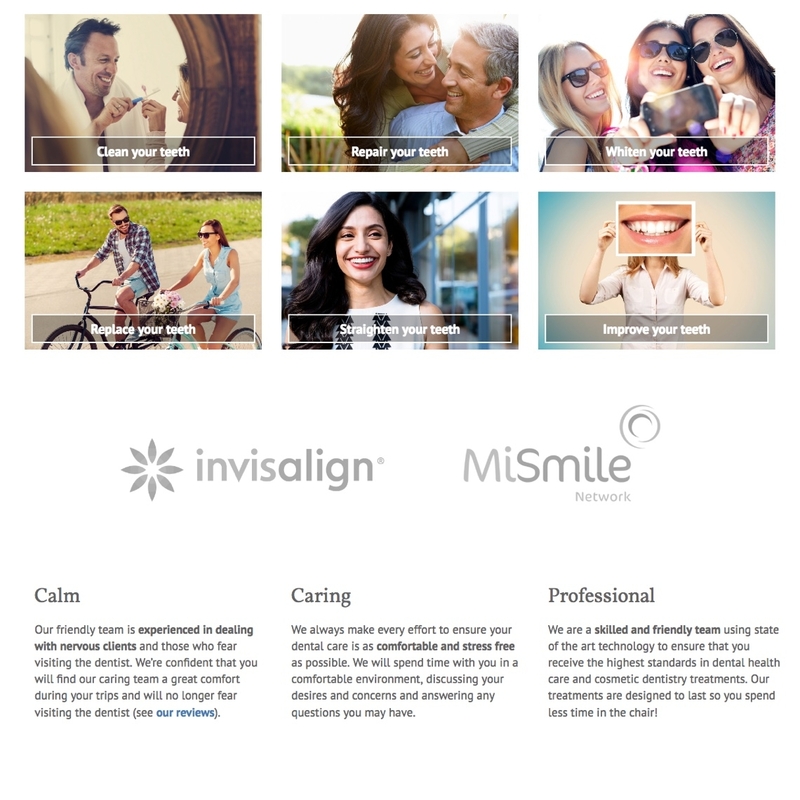 The previous Gentle Dental website was a little dated and a lot of the information needed to be updated. 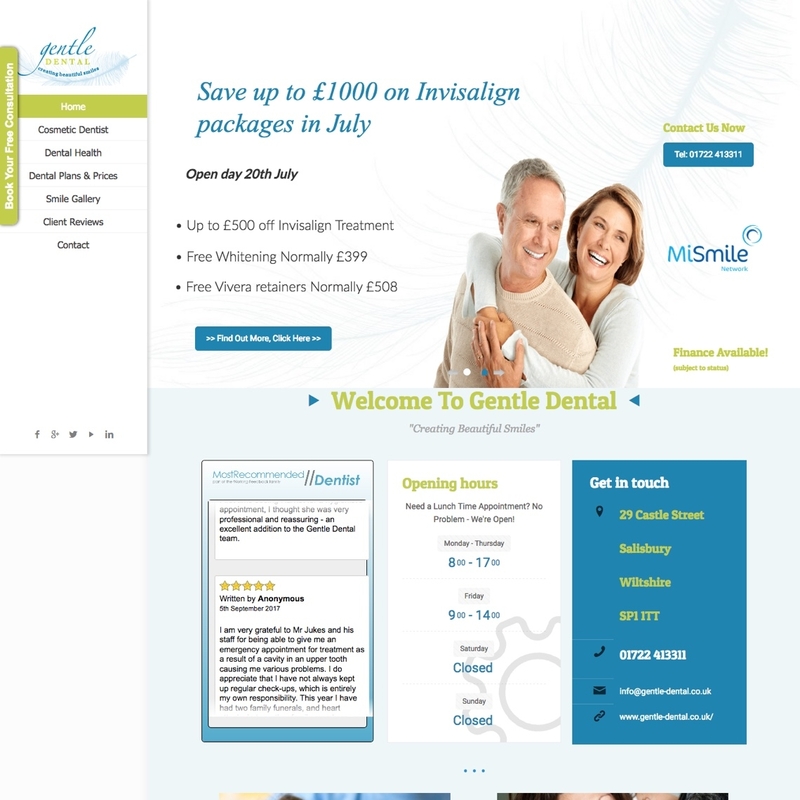 The old website was also based on Wordpress with a large number of plugins installed, making it unwieldy and difficult to maintain. 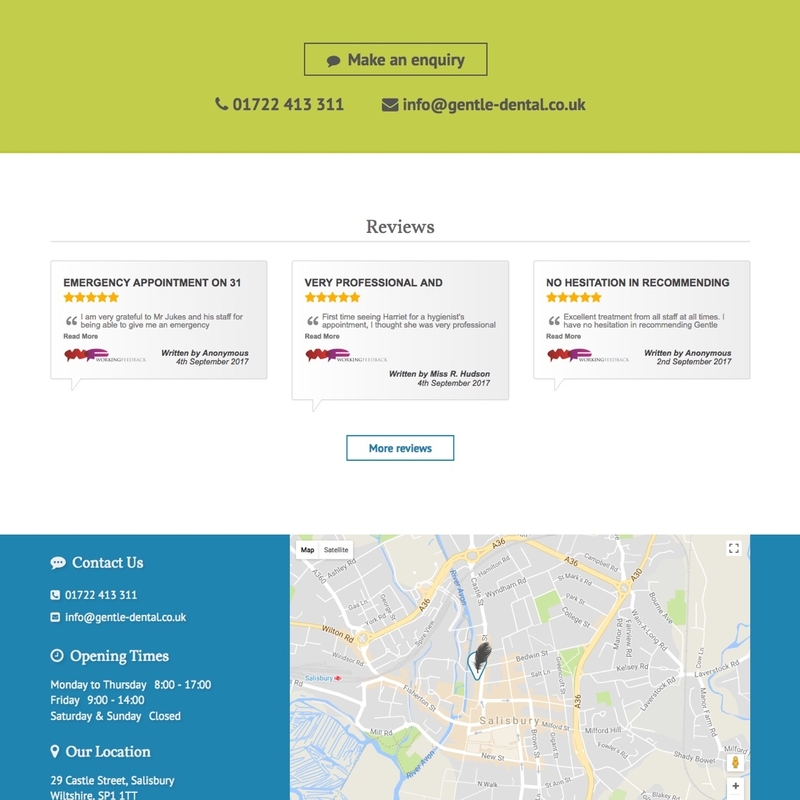 The new website has been built with our bespoke content management system in place that not only easier to maintain, but also offers improvements in speed and reliability. 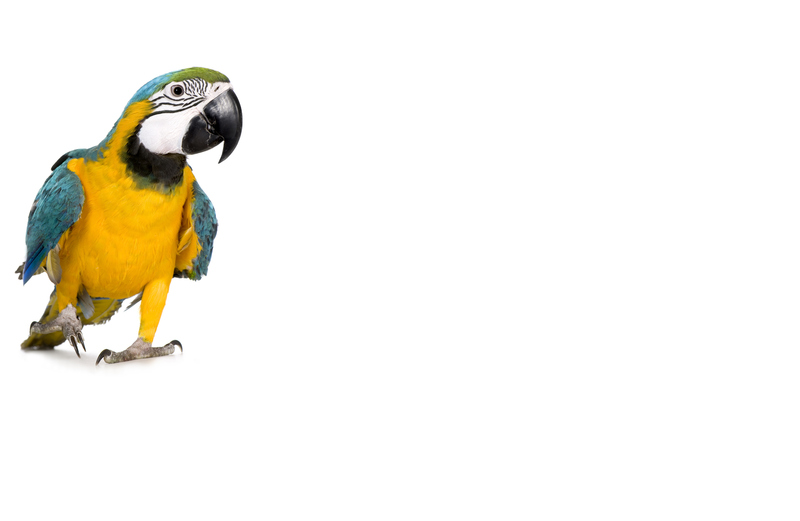 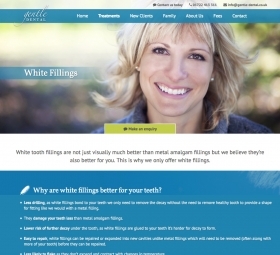 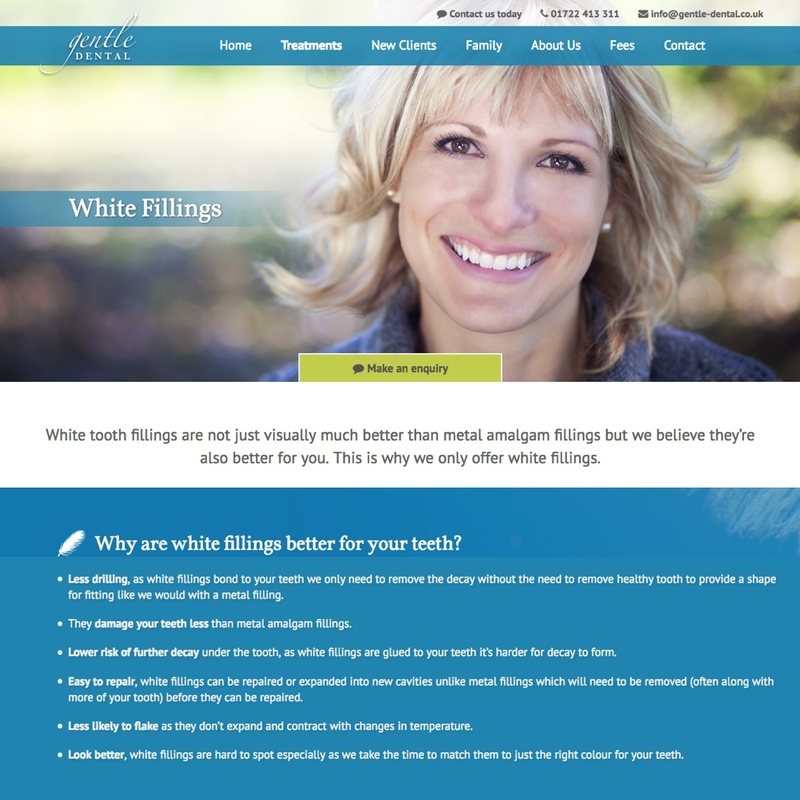 If you are looking for a dentist website for your practice contact us today at Webbed Feet.